This painting is almost like an illusion! 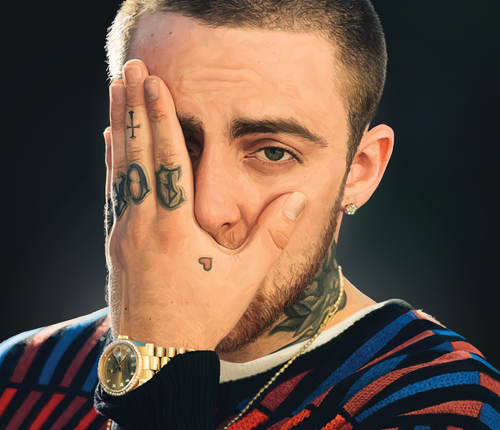 When an artist who goes by the names Daniel/Moe posted what she claimed was a print of the late rapper Mac Miller, Twitter was shocked. Impossible, they cried! This photo looks much too photo realistic! 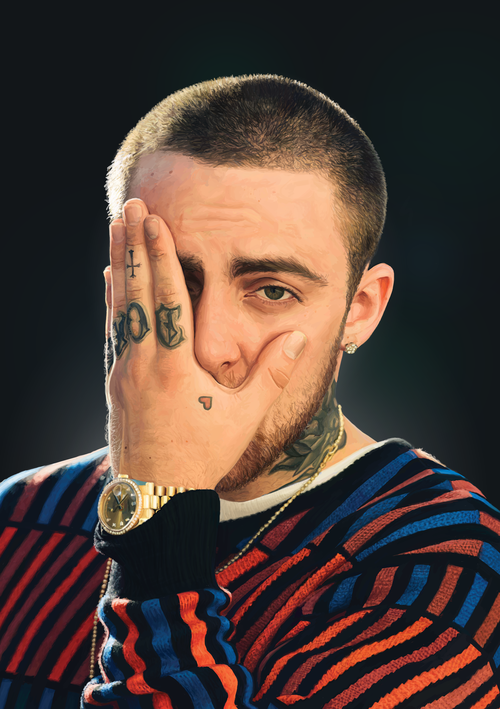 There’s no way this is actually a photograph of Mac Miller! And yet… when Danielle/Moe, showed off her process, showing off the roughs, the colors, and just the brilliance that she casually brought to this print, the people of Twitter had to eat their words. There’s no doubt about it. At only age 20, the artist captured the personality so flawlessly of her subject, the face, the exhaustion in the eyes, that the world thought it was a photograph. The painting was created digitally using photoshop, but was indeed created from scratch, and not from manipulation fo an earlier photo. Danielle/Moe’s website shows some of her other prints that beautifully portray her subject. Rapper and musicians seem to be a favorite of hers, with Donald Glover, Tyler the Creator and A$AP Rocky being available to buy as prints in her store. Additionally, the artist shared her first attempt to create a photo realistic subject with a print of Bowie that they created in 2015. The Bowie print is beautiful, and shows signs of the skills that will come into play in further prints from the creator. You can shop for the artist’s prints here, and follow her on Twitter, Instagram and Twitch. And if you REALLY want to support her work, you can pitch into her Patreon here. And hey, if you liked this story from us, you can follow us on Twitter at @WhatsTrending for more!